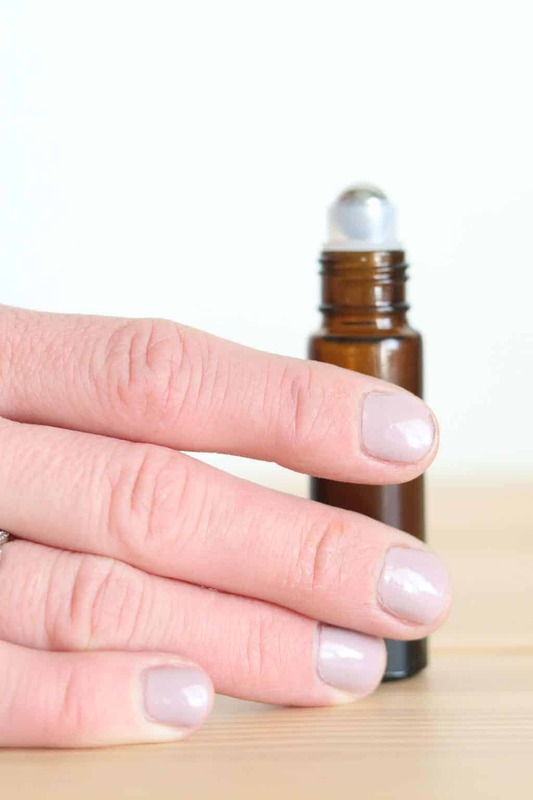 Learn how to make an essential oil roller bottle for healthy fingernails. Best essential oils for cuticles and strengthening fingernails. My hands look more like a man who does manual labor, than a women’s hand. 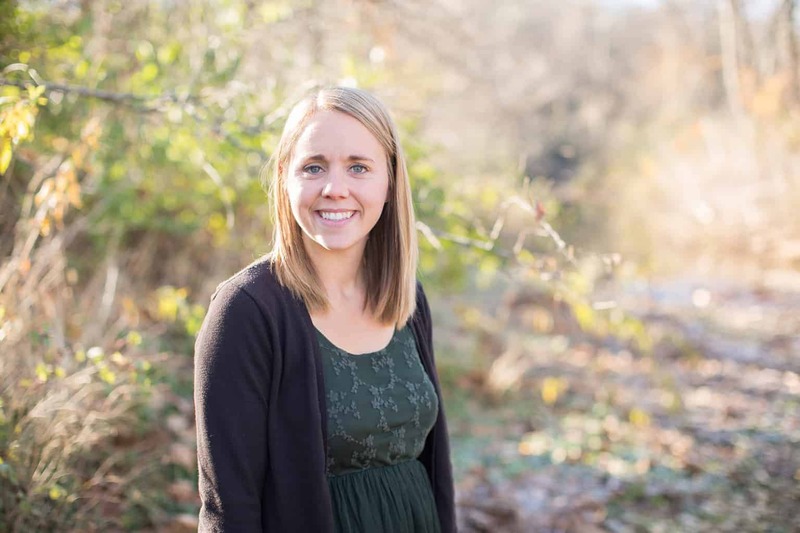 As a blogger, I spend lots of time typing, but as a mother (of 3 boys!) I also spend a lot of time in the dirt. I garden, do dishes, cook, and clean. All things that can be brutal on the ol’ finger nails. Having pretty nails is something I dream about, but isn’t really reality. My daughter loves to paint my nails (she is only 6 so it’s no manicure) and most the time I let her. Other than that my nails don’t see much attention. I really hate when they are painted because it chips so fast and looks worse than before. However, I do think it is reasonable to have clean, nicely shaped nails with healthy cuticles. 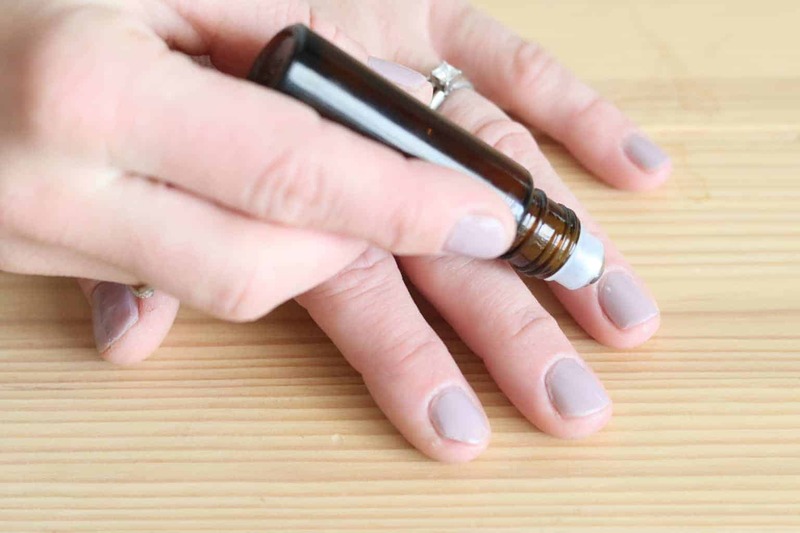 Bring in the essential oil roller bottle for healthy fingernails! Using this roller bottle is a simple way to make my nails healthier with little effort. 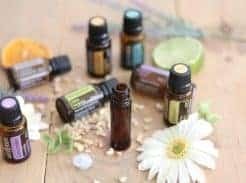 HOW TO MAKE AN ESSENTIAL OIL ROLLER BOTTLE FOR HEALTHY FINGERNAILS? Add all the essential oils into a 10mL glass roller bottle and then top off with a carrier oil. Shake well before applying. Apply directly on nails and around them. You can do this once or twice daily. Get your essential oils HERE. Get my favorite roller bottles HERE. Get my favorite fractionated coconut oil HERE. Lavender is a soothing oil that is great for damaged skin. It can calm and sooth cracked cuticles, by keeping them moisturized. 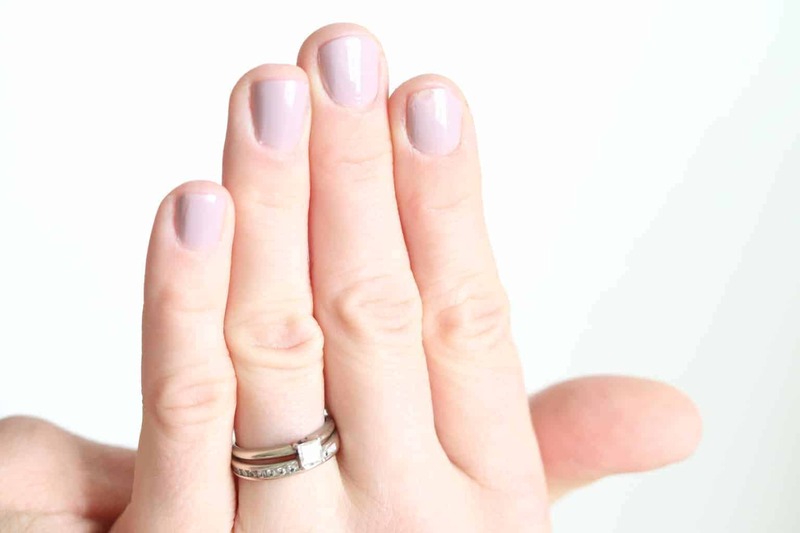 Lavender can help to strengthen dry and brittle nails. Myrrh essential oil is the top essential oil to promote longer nails. It is very moisturizing and when absorbed into the nail it can strengthen and thicken nail. Because of its moisturizing properties, myrrh is also helpful at healing dry and cracked cuticles. 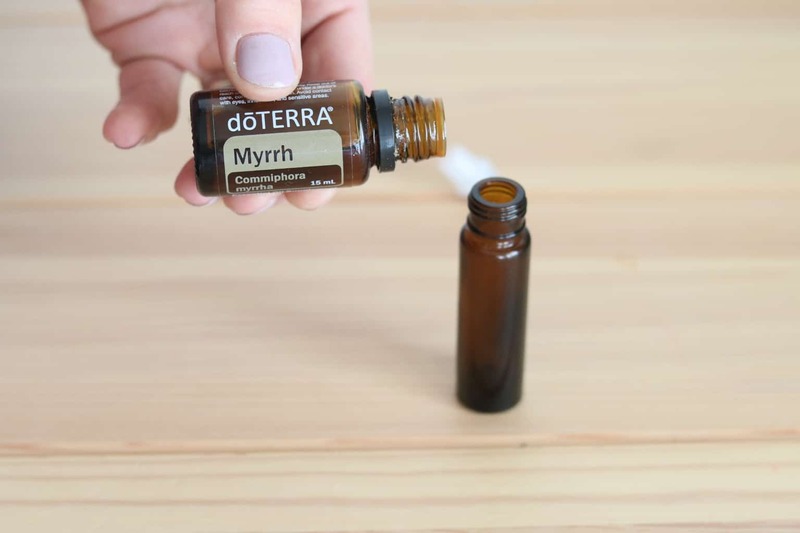 If you are using myrrh undiluted, be sure to only apply up to 3 times a week. Over applying myrrh will cause yellow nails. Lemon is another great oil to use on finger nails to promote healthy, long, and strong nails. Lemon has cleansing and purifying properties that can help keep nails clean and shine. When used daily, lemon oil can help to brighten yellow colored nails. Other essential oils you can add for healthy nails are melaleuca, frankincense, rosemary, and cypress. WHICH CARRIER OILS ARE BEST FOR NAIL HEALTH? Several carrier oils can be used to strengthen nails and cuticles. I used fractionated coconut oil because it is very moisturizing and it has anti-bacterial properties. This makes this roller bottle helpful if you are dealing with any type of nail infection. Coconut oil is also an anti-fungal and when used on fungal nails it can help to kill it. You can also use grape seed oil, olive oil, avocado oil, jojoba oil, or almond oil. All of these oils are very moisturizing and can promote healthy nails. If you rather make a serum, instead of the roller bottle you can! 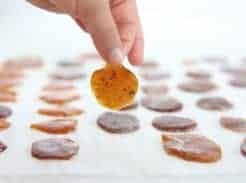 You will need all the same ingredients, but this time we can make it in a 1 ounce glass dropper bottle. Because it is a larger container you will want to add in more oils. Double or triple the essential oil amount and then top off with carrier oil of choice. To apply the serum you can just add one drop onto the nail and one drop around the nail. Allow it to sit for 15 seconds and then message it into the skin. You can do this once or twice daily. Don’t cut or pick at cuticles. The best thing to do to your cuticles is to leave them alone. The more you mess with them the more red and ragged they will look. Avoid fake nails and tips as much as possible. Though they look pretty, they cause a lot of damage when they come off and can leave nails soft and brittle. Make professional manicures for special occasions only. Getting your nails down professionally can expose you to germs that can cause nail infections. Avoid toxic polishes and nail polish remover. Most nail polish removers contain acetone, which can dry out nails making them brittle. Over washing hands can be another cause of dry, brittle nails. Keep nails moisturized. Use the essential oil roller bottle or serum a few times a week, or as needed. Rub coconut oil into nail bed and cuticles if you need a deep moisturizing treatment. Avoid biting and chewing on fingernails. If you need to cut your finger nails do it with a nail clipper. Earlier I mentioned my daughter likes to paint my nails. The sweet girl has 3 brothers, and most days she is pushing around trucks in the mud with them. Thankfully, she is very girly too! She loves to dress up, go shopping, and she loves to paint nails.